Daniel is an Associate with the Firm and a member of the Firm’s Litigation Section. 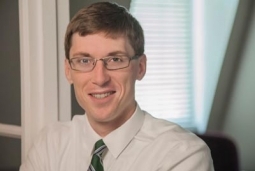 Daniel graduated from Wake Forest University in 2010 with a degree in Political Science. After earning his college degree, Daniel spent a year in the Gulf Coast working with AmeriCorps before heading to law school. He attended law school at the University of North Carolina, graduating with Honors in 2014. Prior to joining the Firm in 2018, Daniel worked with a civil litigation firm in Durham handling predominately employment law matters. An avid sports fan, Daniel enjoys watching and playing sports, especially rooting for the Demon Deacons. Daniel is also involved in community theater in the Triangle.